Our warranty is built to last, just like our machines. Landice is the only specialty fitness manufacturer in the industry to offer a Lifetime Warranty for our residential machines. We do this because we believe 100% in the quality, craftsmanship and performance capabilities of our equipment. Built to last for generations, the Landice Lifetime Warranty is assignable. Create your own fitness legacy and let the investment you made in a Landice be passed along to a loved one. Our frames, parts and wear items all receive a Lifetime guarantee. Service labor carries an industry standard 1-year warranty. Prepaid postage "Warranty Registration Card" must be mailed by purchaser within 30 days of installation. Floor models and demonstration units over 1-year old shall carry a 5-year parts only warranty. 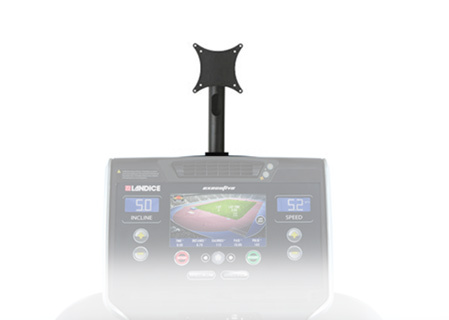 Customize your Landice L7 LTD Treadmill to suit your running style, workout goals and personal preferences with these innovative optional features. Turn your Landice equipment into an entertainment center with the Landice Vision System (LVS). Our commercial grade 19" Widescreen HDTV LCD screen comes with HDMI and coaxial cable inputs and a VESA-D Bracket for easy mounting. Watch your favorite TV shows while you work out or plug an Amazon Fire Stick or Roku Stick into the HDMI port and create your own on demand entertainment system. The included Broadcastvision remote control provides sound (TV does not play sound externally), headphone jack and volume controls. To operate a Cable or Satellite receiver requires the remote specific to the cable provider. The LVS carries a 2 year parts warranty from Broadcastvision Entertainment. Mount your own TV or computer monitor with our optional VESA-D bracket. Accepts up to 19-inch VESA-D 75/100 compatible flat screen computers, computer monitors, and TV's. This option has a 1-year warranty. Enjoy all the internet has to offer with the Landice Tablet Bracket. Our proprietary adjustable clamp securely holds your iPad*, Android tablet*, or electronic reader* in the perfect position for surfing the internet or viewing your favorite digital content. Mount and dismount your digital device in a snap with our adjustable 7" to 12" bracket. This option has a 1-year warranty. (*not included in product). 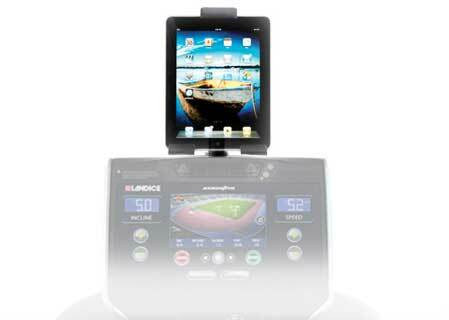 See the difference between all our home fitness models. Build your Landice model online. Save time and order now.